If you don’t have a YouTube business account,you need to leverage this incredibly powerful platform to deliver quality video content to your audience and attract leads & customers? Most companies, marketers, and entrepreneurs are relying on Google AdWords, Facebook, and Instagram advertising to get their products and services in front of their target audience. Maority often overlook the extremely powerful platform, with over a billion of average monthly active users, I mean YouTube. YouTube advertising provides the same level of customization, especially when it comes to targeting and budget, as the other platforms. Plus, it has the added benefit of being more cost-effective due to low competition. Considering that the average cost per conversion for YouTube ads is $0.5 or less, I’d say that the advertising capabilities of this platform are definitely worth exploring. 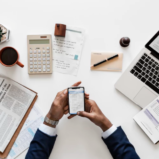 In order to start leveraging YouTube to build brand awareness, drive target traffic to your offers, and boost your sales, you’ll need to create a YouTube business account. Although technically, it’s not necessary for creating and running YouTube ads, you want to have a separate YouTube business account on the platform, if you want to use the platform as a traffic source. 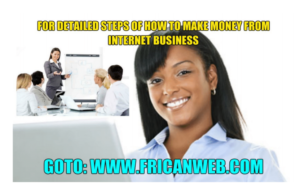 There are various benefits to creating a YouTube business account, let me teach you the steps to it. 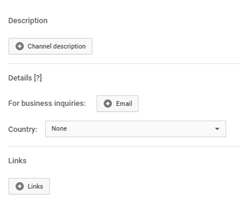 Before you can get started with a YouTube business account, on the off chance that you don’t have one already, you’ll need to create a Google account. 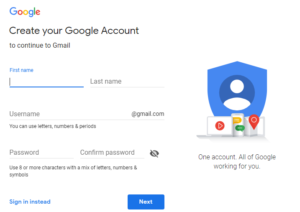 If you already have a Google account for your business, you can simply log into that account. If not, I highly recommend creating one, since you won’t have to worry about security issues related to your personal Gmail account. After you had created the account and sign into your Google account, you can go straight over to YouTube. Since Google and YouTube are inherently connected, you won’t have to go through the process of creating a separate YouTube business account. 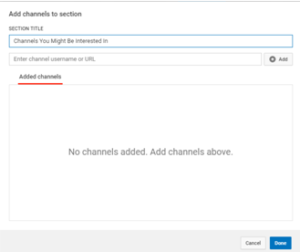 To begin customizing your channel, simply click on the avatar icon on the top right corner of the screen and click on “My channel” from the drop-down menu. 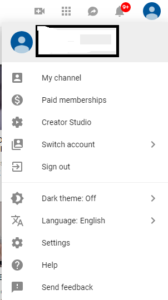 You will be redirected to the Home screen of your YouTube account, with the message “This channel doesn’t have any content” and two buttons available: “Customize Channel” and “Creator Studio”. Let’s start by customizing your channel. 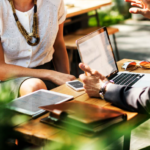 You’ll notice it’s pretty much bare-bones at this point, so let’s go through all the steps you need to complete to create an amazing channel for your business that will draw the attention of your target audience. Firstly, before you start uploading videos, you need to add channel art and the channel icon to your account, that will visually represent your brand. To add a channel icon, simply click the pencil in the top-left corner of your home screen. You will be redirected to a new page (“About me” page of your Google account), where you can simply upload an image from your computer. For the channel art, you can either click the middle button, or the pencil in the top-right corner. A new window will appear, allowing you to upload a photo from your computer, choose an existing photo from your photos on Google, or select one from the gallery. For the channel icon, I strongly recommend using your business’ logo, whereas for the channel art, you have a bit more options. It can be something like a picture of your office, your team or yourself , or a lifestyle that your products is about. Just make sure it’s an image that’s associated with your business. You want your YouTube channel to have a professional look and feel, so it’s very importance that you use the images of the correct size. The dimensions of these images are quite large. 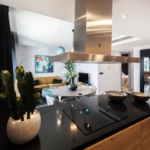 So, you need to make sure that you’re using high-resolution images. This prevents having a portion of the image cut off, or having them distorted. Once you’ve taken care of the visuals, it’s time to add channel description. This allows the people who visit your channel and watch your content to know exactly what your channel is all about. This is a great way to leave a great first impression on your viewers, but also drive traffic to your other social media profiles, and even your website. What we need to do first is that we need to do is add a channel description. This doesn’t have to be anything fancy. 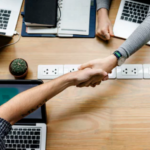 A simple welcoming message as an introduction to the channel and your business, along with your mission statement will suffice. Next, make sure to add your business email address, so that prospects and potential business partners that visit your channel know how they can contact you. And last, but not least, don’t forget to add links to your Twitter, Facebook, Instagram, and other social media accounts, as well as a link to your website’s homepage or one of your landing pages. 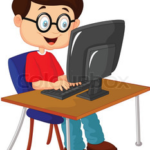 You can have up to five links displayed, each with a hyperlinked text of up to 30 characters. Understand that YouTube will automatically add social links to your channel art and make them more accessible to viewers, so make sure you don’t skip this part! More than any other social media networks, YouTube puts a strong emphasis on being a part of a certain community. By letting people know that you’re an active member of a community that revolves around a certain topic, you’re establishing authority and building trust with the viewers who consider themselves a part of that same community. On YouTube, you do this by liking other people’s videos. 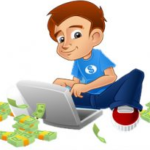 In this case, videos of other businesses and marketers in your niche. This way, you’re letting the viewers know what other sources of information you like and recommend. Highlighting featured channels and “liked” videos is an excellent strategy to make your YouTube business channel more appealing to visitors, by directing them to quality content they might be interested in, even if you aren’t planning on uploading videos on a regular basis. You can alter the “featured channels” text into something that your viewers will find more interesting. Next, which channels and videos should you feature here? In your channel settings, make sure to have your subscriptions and “liked” videos set to public. Otherwise, the users won’t be able to see them. Obviously, you don’t want videos of cute cats here. Even though people might like them, these videos aren’t really relevant to your business. You don’t want to promote your competitors’ business either. So, what should you do? The best practice is to feature videos from industry leaders and influencers. You can also feature videos from other creators you run across that are entertaining and relevant to your business. But, be mindful not to send your potential customers to a competitor. Tip: Make sure to log out of your Google business account when you’re just casually browsing YouTube. Use your personal account to subscribe to channels not related to your business, like songs and leave comments on videos. In order to enable “featured channels” in the first place, you’ll have to navigate to your channel’s settings (pressing the gear symbol next to the subscribe button on your homepage), and make sure that the “ Keep all my liked videos private” is turned off. Before we round up with your YouTube business account creation. YouTube gives you the ability to connect your Twitter account. It will then automatically notify your followers on Twitter whenever you upload a new video. It only takes a couple of seconds, and saves you the trouble of logging onto your Twitter account and creating a post to promote your new video. 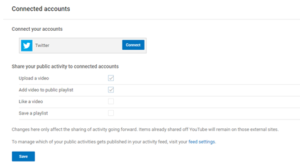 To connect your YouTube business account and the account you have on Twitter, simply navigate to your YouTube settings. Click on your account icon in the top-right corner, then on the gear symbol. Hit “connect”, type in your Twitter username and password, press authorize, and you’re all done. There you go, in a matter of minutes, your YouTube business account is done, and your channel is good to go. Whenever someone visits your YouTube channel, you can have one video featured, that will be running on auto-play. It’s best to use a simple welcome video here. Simply introduce people to your channel, your business, and the type of content they can expect to find. Welcome videos are typically short (1-3 minutes long), and serve the similar purpose as your “About” page. Each video you create is a new opportunity to attract new viewers and subscribers. Just like the content on your website, YouTube videos are content your audience can search for and find organically. That’s why you should take the time to ensure that you’re using relevant keywords in the video titles and descriptions. Use tags to ensure that your videos appear in relevant search queries. Furthermore, consider creating your own thumbnail images that will catch the viewers’ attention. They help entice the user to check out the video and see what it’s all about. It may sound like a ton of work… However, putting in 15 minutes of extra effort when you’re uploading a video can make all the difference between getting a handful of views and attracting thousands of new viewers and subscribers.